Shaklee is a Multi-Level Marketing company that sells vitamin and mineral supplements. The company was founded in 1956 by Dr. Forrest Shaklee. Shaklee is just another MLM selling vitamins and supplements. These types of MLMs are a dime a dozen. A quick search on Google reveals millions of them. But shaklee has some staying-power. The company has been around since the 1950s and doesn't have near as many complaints as some of its much younger competitors. With all that said, it's still an MLM, which means it has a negative stigma associated with it. To make any real money from it, you'll have to be quite the salesperson. 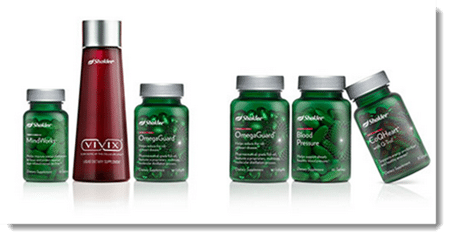 Shaklee products are mostly health and beauty related. This typical for MLMs because they can easily hire labs to create just about any pill, gel or cream. This is an industry that is still very loosely regulated and MLMs take full advantage of it. The truth is, the people selling these products probably know more about the industry than the people creating them. And that's not saying much. Look at this video where a Shaklee distributor compares supplement by how fast they dissolve. (Huh?) I'm not sure what the water things is supposed to prove. Your stomach uses acids to digest things, and you've got a full 24 hours or so to absorb those vitamins through your stomach AND intestines. This is pseudo science at it's best. One of the popular Shaklee products is the Vitalizer which is basically a daily multivitamin. Other products include supplements for enhanced immunity, brain function, weight loss and heart health. I'm not a real believer in supplements like this. I personally believe that most of us can get the same nutrition from regular foods instead of laboratory created capsules. I also believe that a lot of the health benefits are placebo, but that's just me being skeptical. You can never really trust the science on this stuff anyways. They recommended fish oil for YEARS, and now they're coming out with studies linking too much fish oil to prostate cancer. Everywhere you turn, you hear about a company, a neighbor (maybe even your wife) who is “going green”. Environmental consciousness has become popular, and it's also a great selling point. This is one area where Shaklee shines. Shaklee's skin care line is made from ingredients that are deemed safe by the Food and Drug Administration. The cleaning solution and laundry detergent are touted as gentle for people yet effective against dirt. And they are made from biodegradable materials that are also safe for the environment. Shaklee is a pretty standard MLM. It has its fair share of legal troubles and complaints. Take for example this video, where an ex-Shaklee distributor explains (in detail) the various shady methods used to entice people to join. ScamXposer shows that the average yearly income for Shaklee distributors is less than $800 per year. I couldn't verify this number, but of course Shaklee doesn't make this information easy to find. There are plenty of other ways to make much better money online. And most of them cost a fraction of what it costs to join Shaklee. Here's an example of one of my favorite affiliate programs. With it, you earn 50% (about $22) on each sale. And that's recurring! Considering the life of many members is several years long, that's a good program. Here's what you'd have to look forward to with Shaklee. Shaklee sells its extensive product line using a large network of independent distributors. Gold PAK distributor and Gold Plus PAK distributor are the main levels of distribution within Shaklee. Gold PAK distributors earn up to 16% commissions and bonuses up to 14% on group purchases in addition to the benefits earned at the Member level. Gold PAK Plus distributors have the same benefits as the Gold PAK associates except they get a 20% bonus on group purchases and have the opportunity to earn a number of other company bonuses. The cost to join each are $349 and $699 respectively. Distributors can also earn up to 34% in volume bonuses on orders they place, and on orders placed through members of their business groups. Leadership bonuses of up to 7% are earned for signing up new Directors and helping them to develop a downline of directors. Also, Shaklee distributors are encouraged to be on auto-ship, which means being automatically billed each month for certain products. This can (and has) caused people to lose thousands of dollars in MLMs before they can even make their first sale. So is it worth your investment? For me, it's a clear “no”. If you're looking to sell bio-friendly health and beauty products then Shaklee might be an opportunity worth looking into. They've been around for a while. But they are not the only ones. There's hundreds (maybe more) of MLMs out there that sell the same type of products. If you really want to sell supplements or products like that, affiliate marketing is best way to go. The ability to sell widely known and trusted brands. There's NO COST to join the affiliate programs of these brands. That's right, affiliates never have to sell anything. You see, unlike MLM, customers come to you when you're a affiliate. That may sound crazy, but if you start thinking about your own Google searches and how you do product research before spending money online, you might start to get a better picture of what I do for a living. Affiliate marketing opens up a world of opportunities to you. And the best part is, it's the most efficient way to build a business online. If you like Shaklee, great. Drink it and be happy! I just don’t recommend it as a way to earn money, and personally think the quality of product is overhyped and overpriced. You are definitely misinformed. You need to study your subject a lot better. Stop generalizing ! You are giving false information.There is more than just making money with a business. There is the quality of product and a need. Also good mlm companies produce quality products and stand behind them and there must be a reason the Shaklee Company is almost 65 years old. You are only giving your opinion and that is all it is.. educate yourself so that you can give a fair and more informed critique of companies that are playing a role in a healthy economy and employing people.. It doesn’t matter what you do in business. It will always take a focused educated approach in any business. Success rate for most business is usually low in most industries and mlm is no different. Help people find something that works. Take the high road! Talk to people that are successful in their industry and use that formula. Also talk to the companies and find more about them.People who own successful mlm businesses are not necessarily deceitful or misleading. I absolutely sure there are retail. companies out there that are misleading and manipulating their workers and consumers. What I read from your information is misleading. So take your time to investigate and research your subjects. Don’t become part of the fake, bias and misleading information! Again take the high road !! Yes, it’s my opinion. Plus, as someone that’s personally interested in health and fitness, I’ve done my own research, and the information on this page is my opinion.